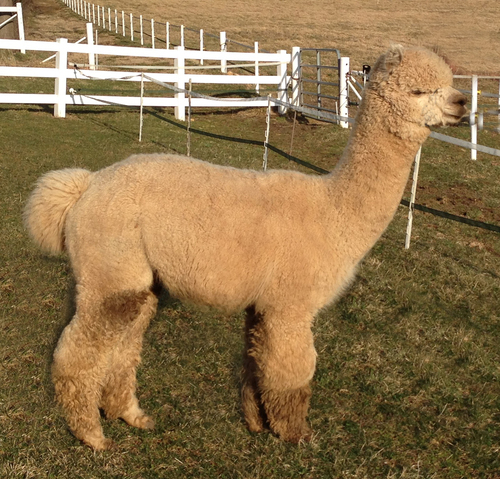 Amazing male with full Accoyo bloodlines and impressive cria on the ground. His shear weight was 13.6 pounds this year. The value of this line is the combination of fineness and fine crimp of the Accoyo "B" line with the high density and crimp definition of the Accoyo "A" line of Caligula and Sunipani. 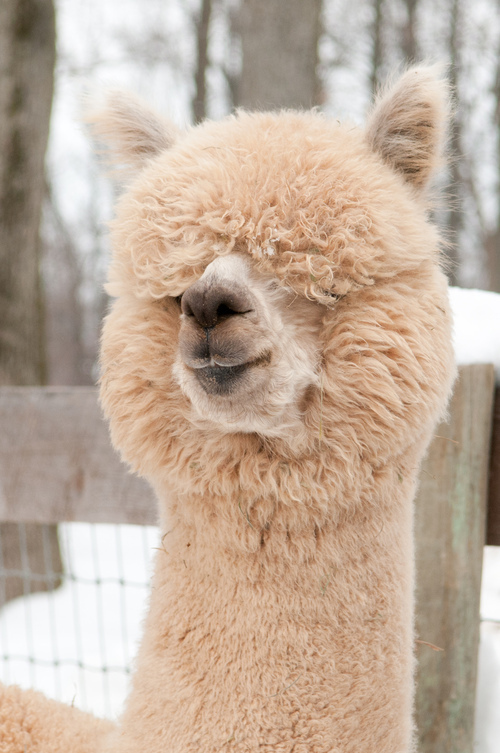 His cria demanded impressive prices at the Majical Farms auction, $30,000.00 and over. 2006 The Futurity - 1st Place Yearling white male huacaya. Just back from the 2016 AOA National show in Washington DC and September's spin-off entry took first place! In a 2 and older class, his fleece was his 6 yo fleece! Fiber stats for 2016 will be coming soon! Mention his spin-off win and get a $750 breeding! 2015 Fiber Stats now in! This is the type of fleece we are striving for. At 69 MONTHS, September is sporting a 20.2 micron fleece with a 98% comfort factor. We had the amazing opportunity to purchase this awesome boy in a retirement sale from a local farm. 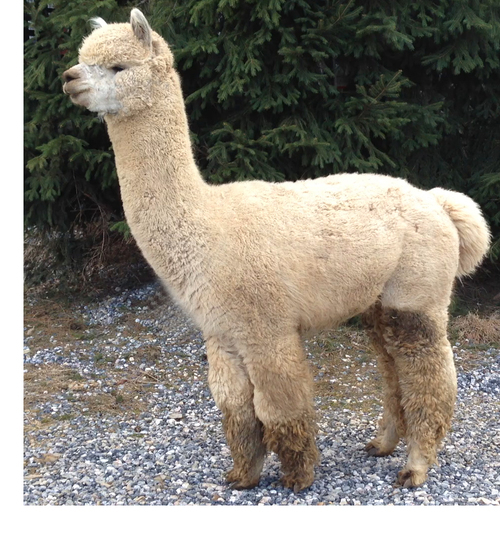 I had always admired him from afar and seen some of his cria and was impressed with all of them. Even at nearly 7 years of age, he is exhibiting the qualities that you want to see in an older animal. 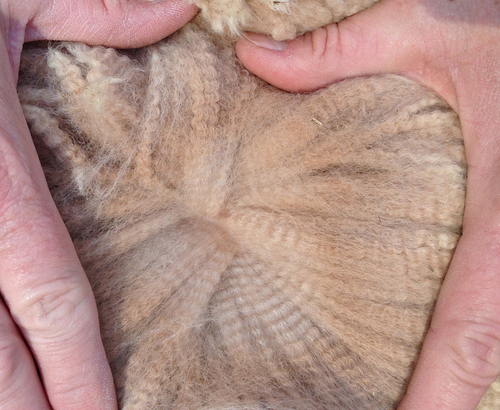 His fleece is still retaining it's fineness and beautiful crimp structure along with some impressive density. 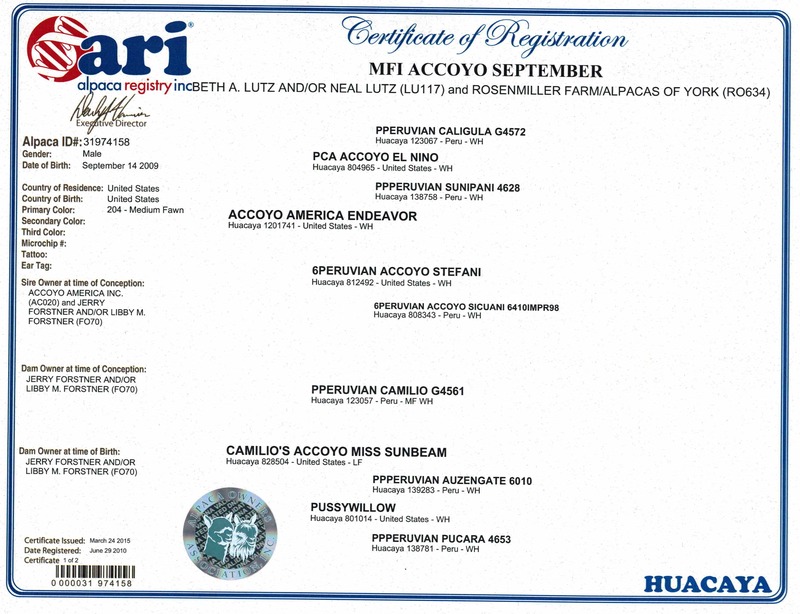 His ARI sports a who's who of the alpaca world. And if disposition is important to you, this guy ranks right up there with the most mannerly gentlemen that have ever lived on my farm. 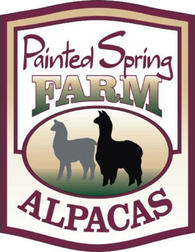 We proudly own September with our friends at Alpacas of York. We'd love to have you stop and take a look at this amazing boy. June 17 - we are thrilled with the first 3 cria we've gotten out of September. I can't wait to see how they develop!